Inspired by the summertime charm of Montauk, owner of Montauk Wine Company Anneris Blair and consultants Mark Blair and Mike Carolan, decided it was time to bottle its beauty for a second season. 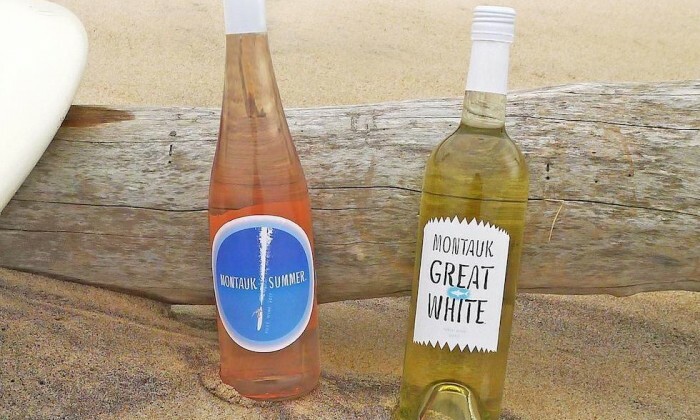 They launched two new wines called Montauk Summer Rosé and Montauk Great White on April 1. Premium Wine Group in Mattituck was responsible for harvesting, blending and bottling the wines, which are crafted from North Fork grapes. The rosé is a heavenly mix of syrah, malbec and merlot grapes and tastes of grapefruit and watermelon with a lemon zest finish. The white wine is a blend of viognier, sauvignon blanc, chardonnay and riesling and has citrus/lemongrass aromas with an apple/pear cleansing mouth feel. Both vinos look as good as they taste. Dressed with exclusive labels designed by local artist and illustrator Peter Spacek, the bottles depict deeper beauty of the area. A highlight of summers in Montauk, the rosé label features a fun image of a surfer cruising through the ocean while the white wine illustrates a great white shark—they have a history in Montauk waters—with spirited lettering and a jagged edge that symbolizes the creature’s jaws. “We wanted to work with a local Montauk artist and admired Peter Spacek’s work for years in the EH Star and other publications,” said Anneris. Despite being an elusive Montauk surfer, Spacek’s surf-centric illustrations can also be found on greeting cards, in surf periodicals and local art galleries. 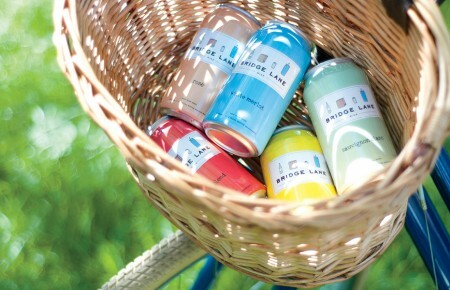 The wines on the other hand can be found in about 12 different retailers in the Hamptons, NYC and Westchester. Coming with screw caps, they lend themselves to rooftops, backyard pools, the beach and boats. 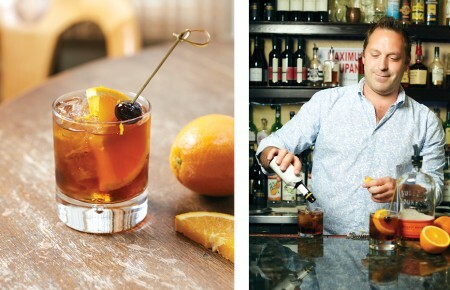 A few of Anneris’s top places to sip: the Crows Nest in Montauk, Dockers in East Quogue and the rooftop at the William Vale in Brooklyn.